The fact for why android users love to use their devices with this OS platform is due to the truckload of apps that we get to use with this platform. Everyone loves freebies and bargains. There are more than a million varieties of apps but some of them aren’t for free. Well, it’s not bad to buy apps from app stores. But some of them might not be worth it, while some others may be significantly costly to try. Some developers make their apps free for a limited period of time after releasing those the cloud to attract users. Credits are even paid to buy those useful apps at a discounted rate. What if, there were some legal ways to get paid android apps for free? People won’t need atrocious ways to get those. Today, I’m going to discuss some of those amazing ways to fulfill the needs of an android user. Growing popular with days, ‘Amazon app store’ is attracting millions of ‘Google Play Store’ users due to the flexibility and reliability of the apps that the users get according to their needs. 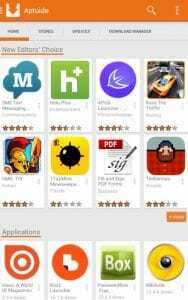 Moreover ‘Amazon app store’ also offers one popular paid app free each day. The only eligibility criteria for using this app store is that you need to have an Amazon account. Since you won’t find ‘Amazon App Store’ in ‘Google play store you would need to download it from Amazon website. However, in order to install apps from unknown sources in your Android device, you need to change your security settings by going to: settings > security and then select the option ‘Allow unknown sources’ to perform the installation. ‘Amazon app store’ would also provide notifications to make it easy for you to get on paid app for free daily. Every free day is a fun day. Is it possible for Google to let itself behind in this tough competition where more than half of the world demands reliable open source platforms and applications to be used instead of the paid ones? Of course not. Hence Google started a policy where it would provide rewards and credits for answering surveys. For all those who are not habituated with the term ‘Online surveys’, it means providing opinion on varied topics depending on age, locations and other such attributes. 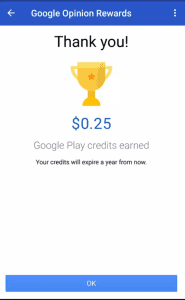 Credits earned in this way can be used to purchase items from google play store. Hence you need not worry about spending money to buy paid android apps. Isn’t it interesting? 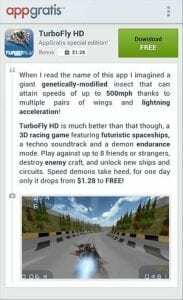 Well, this way would certainly put an ease to your dreams of using useful paid apps. Install the app and answer to surveys whenever you’ll find some time. 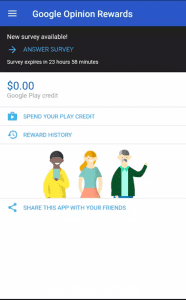 Earn credits and redeem those to download paid android apps and use other google paid services. It is an online marketplace of mobile applications for android device that you won’t find in ‘google play store’. It doesn’t have apps of its own, while users, developers and integrator host apps and create their own android store on their respective platforms. There are several versions of this app such as the Aptoide TV, Aptoide VR and Aptoide Kids developed for smart TVs and children of the Twenty-First century. Every user on Aptoide manages their own repository. The name Aptoide is formed from the words “APT” (the Debian package manager) and “oide” (the last syllable of “Android”). Available in more than 40 languages, this platform has reached millions of users and has enable them to share apps which has in turn helped users to ease life to a great extent. You just need to look for a ‘Trusted Stamp’ on and app to be sure for downloading it. Hence you can enjoy many discounted and paid android apps for free according to your needs. Just like ‘Amazon App Store’ This too helps you get a paid app for free every day. 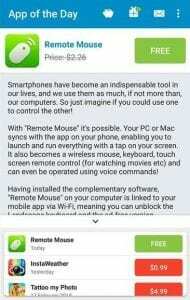 Freebies doesn’t hurt for any android user for sure. Hence this application is admirable by many users across the globe. AppGratis provides apps ranging from Premium types to normal usable standard, helping users to get a variety of apps for their android smartphones according to their daily needs. Not every app may be free, but it makes sure you get a lump sum discount on the apps to make it affordable for you to buy. This app is available on ‘Google Play Store’ for android users and it is also available on ‘Apple Store’ for Iphone and Ipad Users. App deals lasts for 24 hours on each app and hence you need to be updated if you are using this app for your own needs. AppGratis would certainly make you happy with the freebies and the discounted apps which are reliable enough to be used on your device. For all the freebie android users, there’s an amazing offer carefully placed and hidden by ‘Google Play Store’. You need to stay up-to-date on the play store for getting the free offer of this app, else it would show its regular price. This app is useful for families having kids since it proved lots of options to entertain kids. Teenagers would also find it useful to play games and use other stuffs at their leisure time. Updates on apps are not usually available but the reliability and the entertaining facilities of the apps makes it usable enough. After all, as previous mentioned ‘freebies’ are always entertaining. Hence, all the freebie lovers can wait for the free offer and can use the app if useful enough. There are more legal ways to get paid android apps on various platforms for free. You certainly need to move out of ‘Google play Store’ to meet various dimensions of the smart apps in this 21st century.